1. They Create Life-Like Swimming Actions In Water! 3. 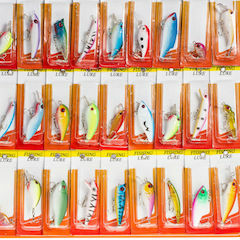 Bright Colors To Attract Big Fish! 4. 3D Eyes Make It A Powerful Catching Tool. 5. Each Comes With 2 Sharp Treble Hooks.